The marquetry is glued to a pre-bent panel. 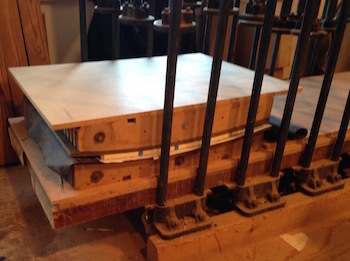 Five layers of 1/8″ plywood were bent in a two part form. This fixes the desired curve. The panel is trimmed square and then the marquetry is carefully aligned with the panel and put back in the press with the glue.